Over the weekend we stayed at a fine old Georgian mansion, so big that the pedometer clocked up a mile or two just walking about indoors. But I got to walk out of doors, too, and for a bit of fun I went out before dawn on Saturday morning. It was pitch dark until my eyes adjusted, but I found the gate out of the estate into the village and then had the joy of walking down the middle of the lane. At first I was caught up in my thoughts, many of them fear-based, about being alone in the dark of all things! But then I woke up and realised I was walking through birdsong. They were everywhere and invisible; it was just a cacophony of a sing-song with each bird telling another where it was in the dark. I tried to be clever and distinguish them but soon decided that every single one of that invisible throng was a blackbird. Blackbirds in black trees against a black sky. But for that half hour, I was part of it, an accepted guest in blackbird village. Blackbirds they were, but not once did I hear that staccato call of alarm they make when they feel threatened. I wish I woke up each morning singing. Right now my background music is widgeon on the culvert pond. Little red-headed dabbling ducks, they sound like squeaky toys, as if someone were walking over a load of plastic ducks which whistled in protest. 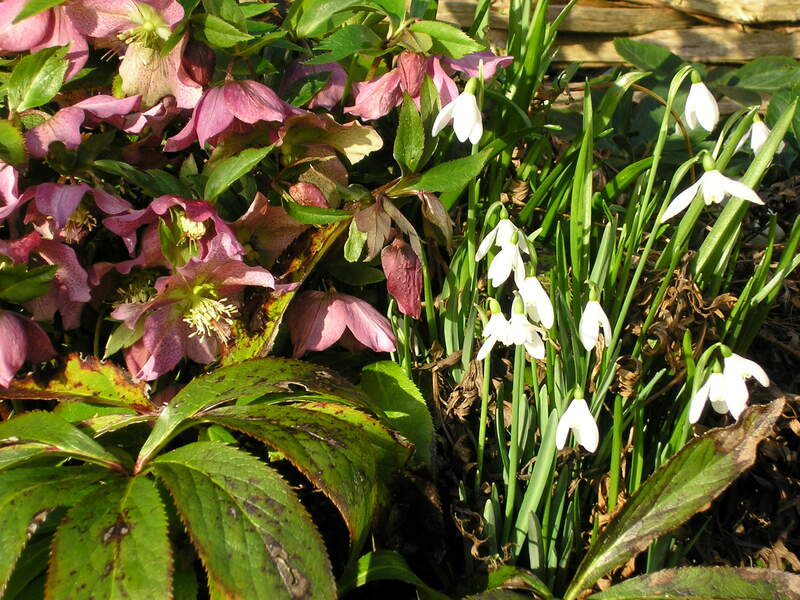 Widgeon, like snowdrops, hellebores and primroses, make February bearable.